Issues are a great way to track problems over time. 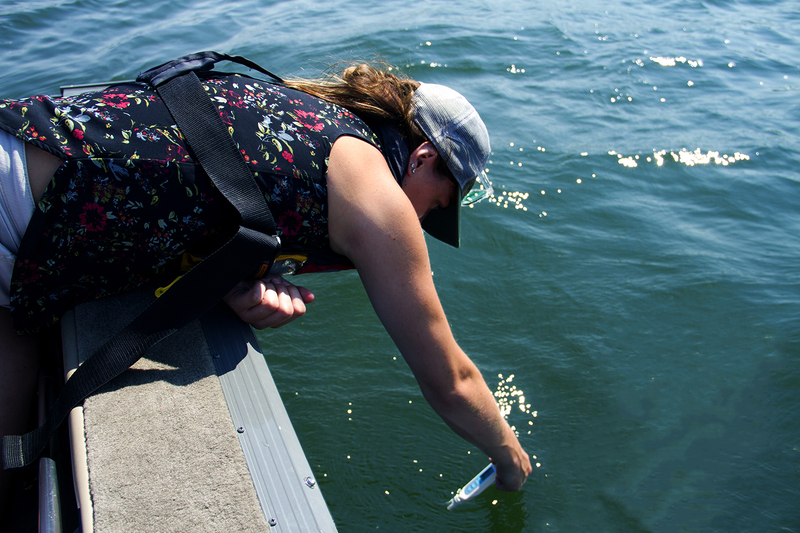 Report things like pollution, algae blooms, water quality issues, shoreline alterations, wildlife problems (like excessive fish deaths), or other. We create a timeline for your issue. You can report it to a group that accepts issues and they can help you solve it. You can also keep track of who you reported it to and when. We encourage you to change your issue’s status, and eventually resolve or close it. Resolving means that you fixed it, whereas closing it means that it disappeared on its own. For example, if it was garbage and you cleaned it up, it would be marked as resolved, whereas if an algae bloom disappeared, it would be marked as closed. Can I see some cool examples? 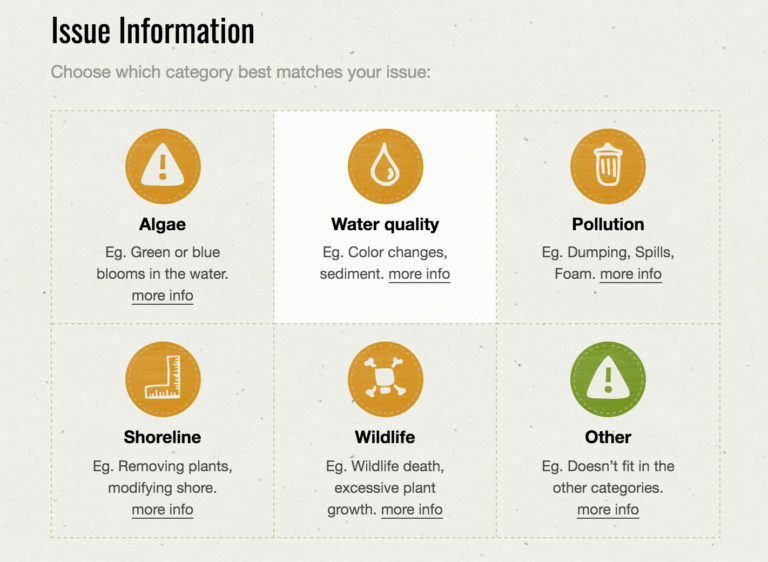 We group issues into 6 categories, so that you can filter the map by them. Each issue has a timeline. It can be reported to a ‘group’ and the group can accept it to show they are investigating. We have statuses like ‘closed’ and ‘resolved’ too. 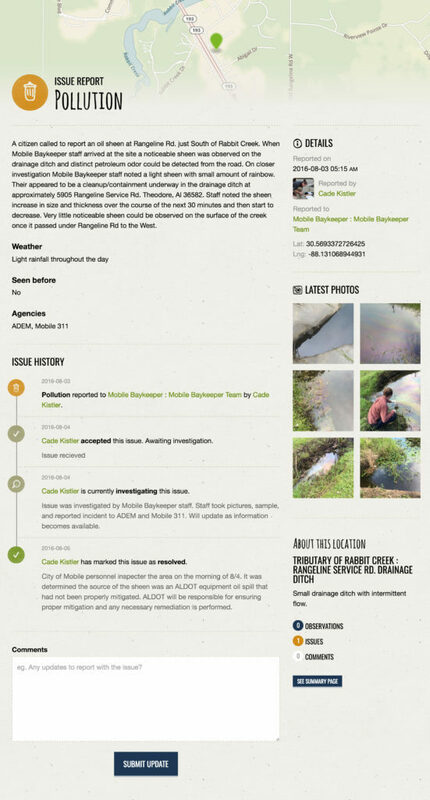 You have a record online of how the issue was resolved and photos. Share with your community! Feel free to add in old issues that have been resolved should it make sense for your project. Always willing to talk to you about anything, so contact us should you want to chat! Thank you to Mobile Baykeeper in Alabama for providing funding for us for this important new feature. They have been a big supporter both with encouragement but also their ideas and their funding! Thank you, from the bottoms of our hearts, for the generosity and enthusiasm you’ve given to us. And it doesn’t end there… we have more great stuff lined up with them over the next month, so watch this space!